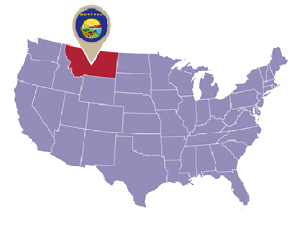 If The Legal Genealogist says she’s going to be speaking this weekend at the 2016 Conference of the Montana Genealogical Society, you’d already know what was coming, right? Poking around in the statute books last night. But the story that emerged didn’t really come from the statute books themselves. It came from another set of records that might not exist but for the statute books. There were all kinds of major league penalties if the assessor didn’t keep the records and pay over the taxes collected, so what we end up with… records. Great records, many of which survive, and many of which are even available online in digital format. Which brings us to the story. We know that Adams married in 1891.13 You can see him and his wife Alice in the 1900 census,14 the 1910 census,15 and the 1920 census,16 just days before his death. So… why, from the time of the marriage in the 1890s, is there property separately taxed to F. J. Adams … and Mrs. F. J. Adams? And she had the house and the barn? So what was the deal? Did she own that land before the marriage? There’s an index to record of separate property of married women, vol. 1, 1895-1914 — and she’s not in it. Adams’ will doesn’t give any clues — it just left everything to his wife, without distinguishing what he owned.19 The Cascade County deed books have been digitized… but the indexes haven’t. Now you know there’s a story here. This was a prenuptial agreement, or a way to protect her in case he was sued, or it was property she owned and brought into the marriage. And we might never have known even to look for the story if Montana hadn’t needed to raise money, and passed a law requiring taxes… and creating tax records. As the property historian for my local archive I use assessment rolls quite a lot. This ‘mystery’ you mention is actually quite common. The four unimproved lots I call investment property and the separation of ownership is to protect their home property if the investment fails with the land taken from the owner. You have to note how a state collects tax on out-of-county and out-of-state owners. The tax can be collected in the county where the property is located or collected in the county of residence of the property owner. Or, the legislature can change the place of collection over the years.